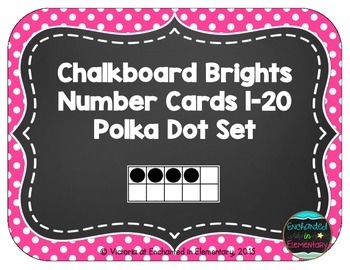 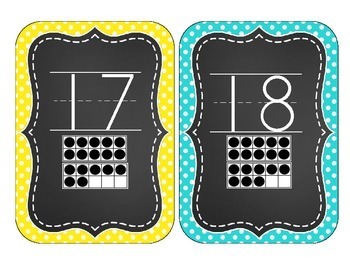 This is a set of 5x7 inch number cards (1-20) made with brightly colored polka dot and chalkboard backgrounds. 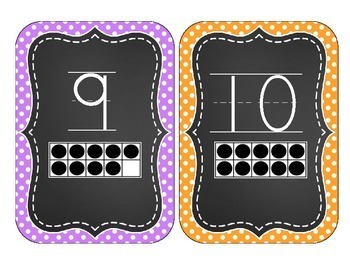 Each card includes the number shown on a tens frame. 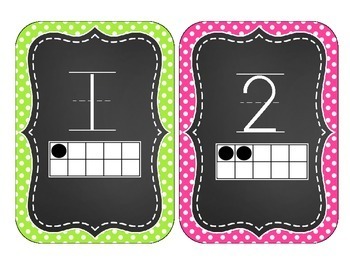 Check out my store for more décor!